One of Holyrood’s most influential committees has chastised the economy secretary amid claims officials “did not provide … full information” about delays to the Aberdeen by-pass. The chair of the public audit committee, Jenny Marra MSP, has written to Keith Brown warning it was “unacceptable” and demanding an explanation. Mr Brown admitted in December that the Balmedie-Tipperty stretch of the Aberdeen Western Peripheral Route (AWPR) was unlikely to be finished until winter 2017/18. In a letter to the rural economy and connectivity committee, he said that government agency Transport Scotland was informed about the setback on November 9. But despite a direct question at a meeting of the public audit committee on November 24, officials providing an update on major capital projects – including the AWPR – did not divulge the information. 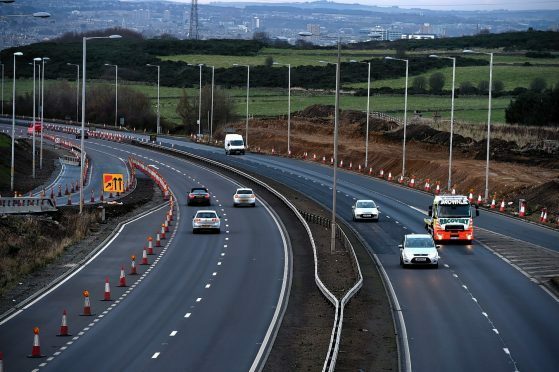 Transport Scotland’s Mike Baxter did admit the earthworks that caused the delay would be a “significant undertaking” – but also suggested previous delays had been “offset”. Ross Thomson, the Scottish Conservative MSP for the North East region who asked the question of officials, welcomed Ms Marra’s letter. He said: “I was not given the full story. That simply gives the impression of a government more concerned with trying to bury bad news than being open and transparent. A spokesman for Transport Scotland said an update was provided “at the earliest opportunity to Parliament on 9 December 2016. “Once we were informed of the rescheduled dates for Balmedie to Tipperty in November, we took action to fully interrogate the contractor’s programme. During this period, we also challenged the contractor to ensure they were mitigating the effects where possible.